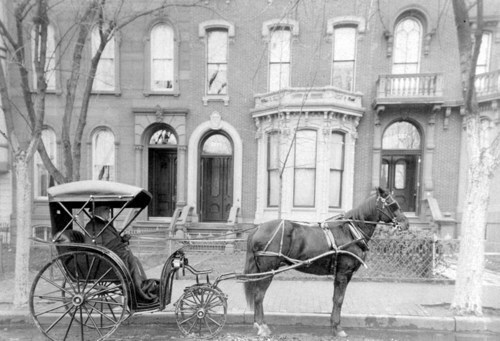 Samuel Clarke Pomeroy, United States Senator from Kansas, seated in a horse drawn carriage in front of a residence, Washington D.C. In describing Kansas transportation past and present, the transportation by horse is an important part of the discussion. Use this photograph in a sequence to show how transportation has changed over time.